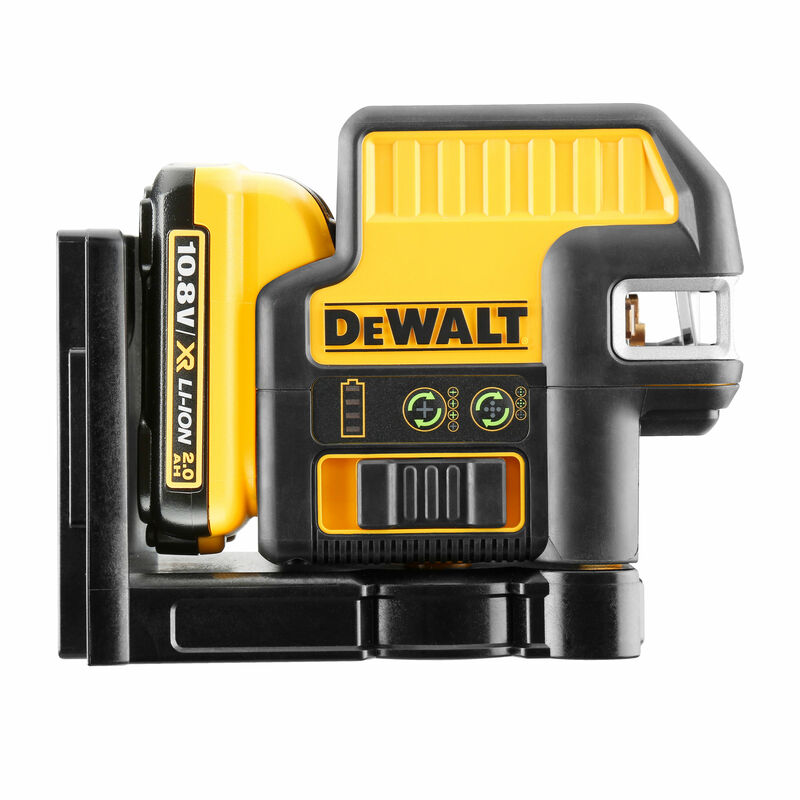 The Dewalt DCE0825D1G Green Laser projects a full cross line (horizontal & vertical) + 5 independent spot points. The cross line function features a 150 degree fan angle which provides ample coverage with little set-up time. 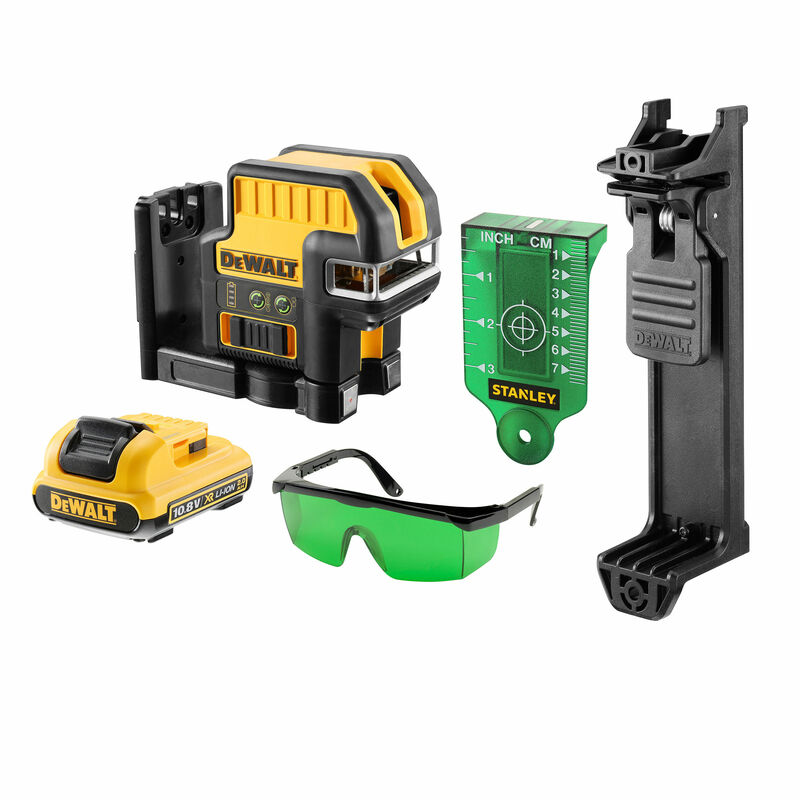 Comes with 1 x 2.0Ah Battery, Charger, Green Target, Green Safety Glasses and a TSTAK compatible Kitbox.